As digital innovation continues to revolutionise the business technology landscape, an increasing number of companies are harnessing the scalable power of cloud computing to reduce operational costs, increase efficiency and transform their services. 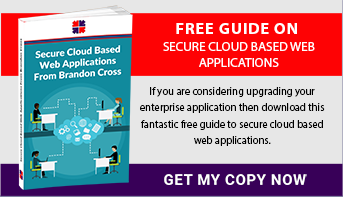 Maintain a competitive advantage with secure, cloud based web application development from Brandon Cross Technologies. Brandon Cross Technologies are leading specialists in the development of intelligent, user friendly, cloud based web applications. With experience and expertise designing secure solutions for a myriad of sectors including Telephony, Pharmaceutical, Petrochemical, Manufacturing, Engineering and Digital Publishing, everything we do focusses around helping our partners achieve strategic goals through the effective and appropriate use of IT. We develop powerful business solutions designed around compatibility, operability and security. From taking the time to understand your business, though to technical project management, software development, piloting, implementation and support, our methodical, consultative approach maximises your return on investment and supports your business throughout every stage of the development process. Each application we develop is custom tailored to your specific requirements and objectives, factoring cyber security, functionality and scalability, while leveraging the maximum value from your existing applications. Listening is at the core of our systematic, step by step process. We gain a full understanding of your priorities and strategic goals before advising on the most reliable and cost effective ways to maximise performance, value and resilience from your applications. We conduct a thorough analysis of your existing IT infrastructure, processes, security requirements and functional requirements. We advise on the most cost-effective method of modernisation – whether migration, re-platforming, or reconfiguration. We will always explain our reasons for recommending a specific approach. We leverage your existing IT infrastructure to minimise costs. We identify existing components and technologies to reduce development time. We use your preferred technologies to reduce training and make the best use of in-house expertise. We agree and document processes for managing risks, issues and pilot implementation. We establish realistic expectations and will communicate openly and honestly at all times. We have the knowledge and technical ability to align your priorities with realistic, reliable and timely delivery. We provide dedicated technical project management for a personalised service. We develop and deliver customised user training. We continue to listen, refining performance throughout piloting, to ensure your solution achieves the intended business outcomes. We support you during implementation and deployment for a smooth, guided transition. Effective, dependable custom built applications to advance your business to the next level. A partnership with Brandon Cross Technologies delivers the technical resource to turn your ideas into a reality. For a no obligation chat please contact us on +44 (0) 20 8144 2000 We would be delighted to help you achieve your goals.